and ventilation all working together. Day after day, year after year. 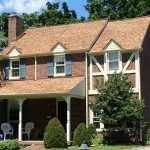 Essentially, it provides the peace of mind knowing that all elements of your roofing project, from the shingles to accessories, are fully secured and completely guaranteed. The Certainteed Integrity Roof System is designed around the idea of a roof fully optimized and secured against any possible weather or exterior condition. This gives you the piece of mind to know your home is structurally sound, and the confidence to know one of your home’s most valuable investments is well protected. As Certainteed certified master craftsmen, O’Donnell Roofing can help you realize the full benefits of the Integrity Roof System. Learn more about the system at Certainteed.